What is a Quality Management System (QMS System Software)? A Quality Management Software System (QMS) can be described as a formalized system which manages processes, procedures, responsibilities, and performance to be able to achieve quality policies and objectives within an organization. A Quality Management Software System can help coordinate and direct business objectives and activities along the right path to meet customer and regulatory requirements. Quality management is performed to improve business effectiveness on a continuous basis. There are multiple definitions for regular Quality Management Systems. The majority of those definitions emphasize the use of a QMS stating they are repeatable, measurable, and continuously developing over time. For an ISO 9001 (Or any other ISO standard Quality Management System), the systems are structured in a way which allows delivery of better services or products that is supported through documented information. This documented information involves procedures, work instructions, and policies. What exactly is an ISO standard in terms of QMS Systems? An ISO 9001:2015 standard can be defined as an international standard which specifies requirements for the Quality Management Software. This standard is used so organizations can develop their own programs for the QMS. This approach is the most prominent for Quality Management Systems. 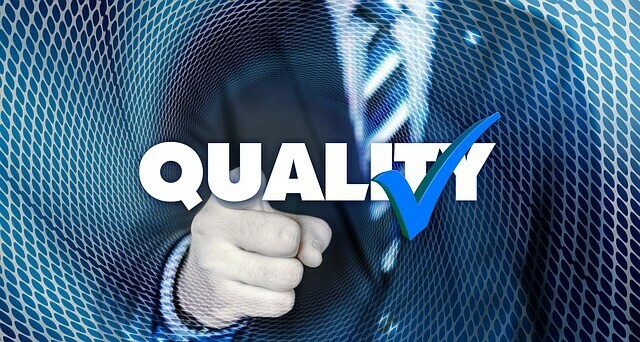 While some people use the term “Quality Management Software System” as a term to describe the ISO 9001 standard or the group of documents which details the QMSS, it actually represents the entirety of the system. The documents used to detail the QMS only serve to describe the system. This standard applies to all organizations regardless of the size of the company or the industry. Different companies around the world have applied for the ISO 9001 standard for their Quality Management Systems. Organize their processes for efficiency. Ensure there is an improvement in the effectiveness of their operations. Make sure there is continuous improvement in their business processes. Internal processing of organizational information. Customer satisfaction through high-quality products. Each element of all Quality Management Software is utilized to serve the purpose of achieving the end goals of an organization’s requirements and meeting customer needs. Ensuring that each element of a QMS is available to meet these requirements would guarantee proper execution of the software. When it comes to implementing new software in an organization, it may seem incredibly complicated. With all the procedures, work, training, and costs required, only one thing comes to mind – Is it worth it? Before attempting to skip ahead in time and find out if it’s worth it, it is essential first to know what exactly a QMS is and if your company really needs it. Does your company require a Quality Management Software? When the administrator of a company considers a QMS, with all its popularity, the first thing, he/she would do is purchasing the next new system in the market and its implementation. Doing this could result in some significant adverse effects on the company and employees too. Some organizations find themselves following a trend and blindly implementing every software that gains popularity. This is usually the first downfall of having a QMS failure within a company. Even if there are sufficient funds available, in some cases, software customization could increase risk, require a longer time, and could cost more to perform in the long run. User training is an incredibly critical factor when it comes to just about any software to be implemented into an organization. Insufficient training could put the company productivity at risk by leading to increased production errors and incorrect output of products. Software testing should be done following a variety of steps. When performing software testing, it is vital to identify if the correct software has been purchased. The system should comply with the requirements of the company, and users should determine how efficient the QMS would be in the organization. Without proper testing, there could be an increase in risk for the company. These factors are only a few of the many possible failures a company may face through QMS implementation. Therefore, when considering a QMS, the importance of research on this software shouldn’t be ignored. Why choose a QMS Software System? Opportunities to improve and document training processes. Utilization of a Quality Management System has become a must-have in the current age. However, the implementation of a QMS should always be able to reflect the critical needs of a business. The delivery of accurate information should be available in every system. For each process, policy, or procedure in the company, it is essential to keep in mind that there can only be one form of correct information. That information should be the only one present throughout the system and should be available to all employees that have access to it. Easy to process and understand. While in an automated system, data may be readily accessible by the relevant employees. But how often are there times when you just don’t understand the bulk of information in front of your screen? It would be far more convenient for users if the information was presented in different formats. The efficiency of newer more advanced systems would allow information to be visually represented for a better understanding for users of the QMS. For all employees with authority within the company to be able to access all information easily, the records and documents should be available in a central and easily accessible location. For this, information uploaded online can offer significant ease for each employee to access files quickly. Documents can then be a click away for better productivity. One of the primary reasons for the use of a QMS is efficiency. Therefore, the ability to access the relevant files on time is vital. Because of this, if files can be accessed on time, organizational productivity could be increased significantly. Your Quality Management Software should be able to hold information for all the necessary aspects of the company. The system should be able to deliver intelligent, powerful, and high-quality reports. These reports could then be used for reference and other essential activities. With nearly every person having a smartphone or laptop in the current world, it would only make sense that the software holding all necessary files would be accessible on other electronic devices as well. This is primarily a necessity for employees that travel frequently. All Quality Management Systems should be able to follow the regulatory standards issued by the manufacturers to avoid legal problems. The QMS should be able to act as a stand to provide a basic view for all procedures, documents, policies, and other information relevant to the company. This could be essential to have an overview on how the organization operates and how well they operate. This is a factor that doesn’t get much attention as it needs to get. Having up-to-date software could provide significant insight to increase productivity, could be easier to operate, and could also reduce errors and unnecessary costs in the long run. The initial use of Quality Management Systems began with use within manufacturing companies. However, over the course of time, these systems gained popularity due to its efficiency and are currently one of the most widely used software by organizations around the world. Are the employees competent enough to manage a Quality Management System? Can company data be hacked and misused? How complicated would the new system be? What happens to the physical documents? Would maintenance cost a lot? Therefore, before the implementation of a QMS in a company, taking the time to do the necessary research would ensure the company is presented with the perfect QMS. How beneficial would the system be? What unique features would be provided? Would the cost and maintenance be worth the implementation? – Trial and error costs. – Costs of redoing failed products. These systems are a lifelong commitment. So ask yourself, how much is your company willing to spend on Quality Management Systems. The primary reason for an organization to seek the implementation of new software to manage their quality-related documentation is to improve efficiency. Supporting and expanding company objectives can be achieved through the competent use of these systems. Organizations can also gain improved productivity and achievement of long-term goals through an efficient QMS. – Is the growth of the company assured? – Would these procedures guarantee efficiency? Would time be well spent? To be able to effectively make use of a Quality Management System, the head of the organization needs to make sure the employees are willing to spend as much time required to get the maximum use of these systems. Additionally, the company should ask themselves if there is going to be sufficient time to put aside for the management and maintenance of the new system. And if so, would that time be well spent? – Easier handling of documents. – More added features – which would improve the performance of employees. For an organization to move forward in the current competitive market, Quality Management Software is a great support. These systems would guarantee that any company would receive the boost it requires. Through that, organizations can then ensure maximum efficiency, increased productivity, and higher profits. If a Quality Management Software System is supposedly in the best interest of a company, they should make it a vital point to determine the different kinds of metrics or strategies to be used as a baseline for improvement. Strategy one: Identifying the right Quality Management System for the company. Additionally, the processes to be used for the system should be determined and streamlined for process improvement. Strategy two: When initiatives are executed, the speed of the implementation for those executions should be considered. The faster these processes are implemented, the higher the chance becomes for gaining a significant Return on Investment. Strategy three: The system to be chosen should be able to comply with the production standard to satisfy customer requirements. Customer satisfaction is the ultimate goal of any company. If production standards are low through improper quality Management, the output could be faulty. For this reason, making sure the system can follow through with the quality standards could guarantee customer satisfaction which would, in turn, generate a better Return on Investment. This strategy is especially applicable to manufacturing companies. Strategy four: The chosen Quality Management Software should be able to meet current and potential future initiatives. The Quality management processes would generally develop, and the system that’s selected by the company should be able to keep up with these changes. With all the information provided above, companies can create a better organizational vision in the long run. However, it is essential to keep in mind that this vision would require constant updating for it to be effective. The same approach can be directed to ensure organizational efficiency with Quality Management Software. So if you’re looking to acquire one of the best Quality Management Software Systems in the industry, Harrington Group International is the way to go. Why Harrington Group International QMS Software for Businesses? Harrington Group International (HGI) is an organization that issues some of the best business software solutions to companies worldwide. 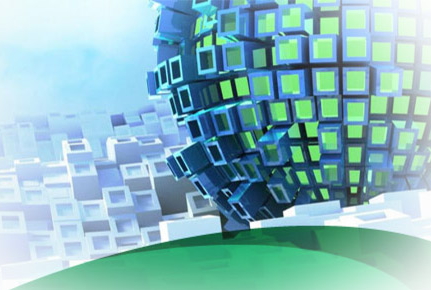 Through our long-standing reputation for the best software solutions, here at HGI, we only guarantee the best services for each client. Our Harrington Enterprise Quality Management System (HQMS Software Systems) is our flagship of world-class software for improvements in enterprises, compliance and Enterprise Quality Management Systems. Our HQMS Software brings potential clients with a state of the art solution for quality management plans. Our software guarantees that clients would be provided with quality monitoring and assurance to ensure that they get their products ready and compliant for business processing. We bring knowledge and in-depth functional expertise while guaranteeing a practical approach to build capabilities to deliver an authentic impact to ensure organizational efficiency.